A Mobile Network Operator or MNO is basically a wireless carrier or company which provides wireless telephonic services to its consumers. They take care of all the billing and the customer care and almost all the parts of a business. Customer service is a very important part for a successful company and it is the provision of service through, ere and later the service. The basic thing of customer care or customer support is in assisting the consumer with the correct use of your product in a proper and profitable way. It may include helping the consumer helping in different types of ways like from proposing to completing the whole task with your product. What is Vodafone Customer Care Number? Telecom Companies have mostly 4-5 types of customer care or ways of helping their customers. Through Normal Phone Numbers or Telephone Numbers. Through Social Media Like the Brand’s Facebook Page or Twitter Handle. Sending a letter to the brand’s physical office. Live Chat Support Through Brand’s Website. Customer support has surely evolved a lot from when companies had started to pop out and the different kinds of instant customer support options are pretty great, to be honest for both the brand and the customer. The live chat option is a very appealing option as it enables the brand to provide instant support and also the customer gets the solution to his problem immediately and his/her problem gets solved right away with having to go anywhere. Vodafone is the eight largest telecom service provider in the world and was founded back in the years of 1982 with the founding of the Racal Strategic Radio Ltd subsidiary of the parent company Racal Electronics, which was at that time The United Kingdom’s greatest and biggest military technology manufacturer. As of March 2018, Vodafone India has a customer base of over 223 million subscribers and is the 2nd largest mobile telecommunication company in India with a market share of 21%. After facing pressure from Jio, Vodafone India and Idea cellular joined hands together in 20th March 2017 to strengthen its services and customer base. They together are the biggest telecom company in India. Many people are asking this question and there is also a lot of confusion regarding it. The official Toll- Free Vodafone Customer Care Number is 198. If you are a Vodafone user then you can call this number anytime from your Vodafone number to get your problem fixed. There is also another number 199 which can be used to contact the customer care but make sure that you are aware that Vodafone Charges 50p per 3 minutes for talking to their customer service agents and the money is directly debited from your mobile number account credit balance. For any kind of Value – Added services or other services such as missed call notification activation or deactivation you should use the 198 number as it is a toll-free number and get the solution to your problems is pretty easy via the 198 Vodafone toll-free customer care number. If you are a Non-Vodafone user or you are not able to access your sim card because of some way then you should use the regional numbers provided below of the regional Vodafone Customer are numbers which are available to call 24×7 and from any phone number of any telecom provider. The below customer care numbers can both be used by prepaid and postpaid consumers for any kind of help or doubts regarding their services. 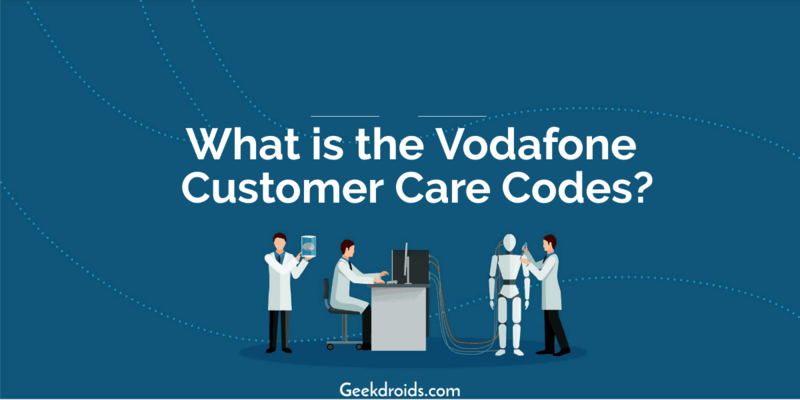 The normal goto to customer care number for all Vodafone customers is 198, which is toll-free and can only be used by Vodafone customer to address their issues. Below we are giving some more region wise telephone and mobile numbers along with office address of Vodafone offices for you to get in touch with them for your queries. Office Address:- Vodafone Idea Limited (formerly Idea Cellular Limited), An Aditya Birla Group & Vodafone partnership, (CIN No: L32100GJ1996PLC030976), Near Nazareth Hospital, Arbuthnot Road, Laitumkhrah, Shillong 793 003, Meghalaya, India. 5th Floor, Gaurav Tower, Malviya Nagar, Jaipur-302017, Rajasthan, India. Constantia Office Complex, 11 Dr.U N Brahmachari Street,K olkata-700017. 3rdFlr, A Block, MarutiInfotech Ctr, Koramangala Intermediate RingRd, Amar Jyoti Layout, Bangalore-560071. Office Address:- Vodafone Idea Limited (formerly Idea Cellular Limited), An Aditya Birla Group & Vodafone partnership, (CIN No. : L32100GJ1996PLC030976), 4th floor, North Block, Bahu Plaza, Jammu, Jammu & Kashmir – 180004.